The City of San Leandro is very excited to welcome 21st Amendment Brewery to its new location at 2010 Williams Street. 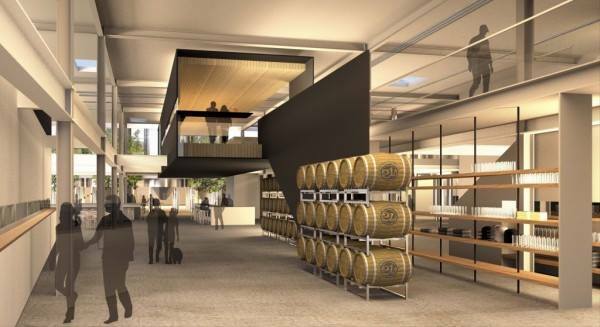 21st Amendment will open a 95,000 sq foot brewery (one of the largest in the Bay Area) initially brewing 100,000 barrels, scaling to 250,000 barrels in the near future. In addition to the production line, a full-service restaurant, tasting room and event space are included in this major $21 million investment in the former Kellogg’s factory. Award winning San Francisco architect Aidlin Darling Design has been commissioned for the facility renovation, bringing an infusion of cutting edge and sustainable design concepts into the industrial area of San Leandro. Joining Cleophus Quealy and Drake’s Brewing, 21st Amendment is helping to cement San Leandro as a top destination for high-end beer. The industrial area already has numerous specialty food manufacturers and the area is primed for expansion in these two industries because of the flexible building stock, location in the center of the Bay Area and top quality water supply. 21st Amendment will initially have twenty employees, with a projection of 100 high quality jobs within five years. This location will create specialty and experimental brews, as well as their year-round line. The facility will be up and running before the end of the year, with the restaurant and event space scheduled to opened in 2015. We are enthusiastic about their decision to come to San Leandro and look forward to their grand opening! I am very excited you are here!